As UN Climate Change Conference (COP23) in Bonn is drawing towards an end within scheduled timeline, a rarity during annual global negotiations in the recent times, the question hangs: did the developing countries miss a trick by going into an overdrive over pre-2020 climate action debate? Did developed countries actually win a ‘bout’ by surrendering a ‘round’? Developing countries block, including the BASIC group to which India is part of, claimed a “big win” by bringing the spotlight back on pre-2020 agenda and pushed developed countries to agree on a roadmap to implement the commitments made by them in Doha five years back! 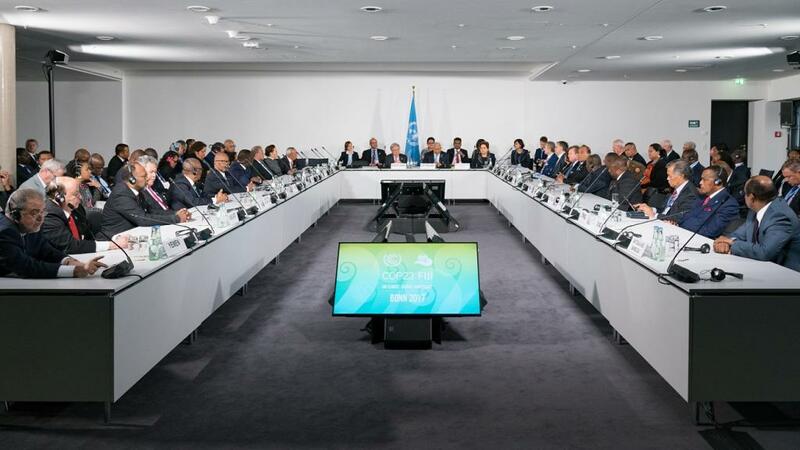 After a negotiation that continued over a week and concluded just before the high-level segment with the political leaders was set to roll, a draft proposed by the President of COP22—who was coordinating the negotiation on behalf of the President of COP23 president—was agreed upon by both developed and developing countries. Broadly, the draft proposed that developed countries would be requested to ratify Doha amendment of Kyoto protocol as soon as possible and submit a report by May 1, 2018, stating their current achievement and enhanced action prior to 2020. There would be a stocktake on pre-2020 implementation and heightened ambition on emission cut in next two COPs and discussions on climate finance. In 2012, the Parties had agreed in Doha that under extended Kyoto Protocol, countries would undertake aggregate emission cuts that would be at least 18 per cent below 1990 levels. They also agreed that developed countries would reconsider their emission reduction commitments by the end of 2014, with a view to increasing their ambition level. Nothing happened since then, till the issue was raked up in Bonn. While one cannot deny the importance of this “political win” for developing countries, on ground it looks hollow in terms of achieving real emission cut and keeping the world livable for coming generations. Even the intimation “on time” means that developed countries under Kyoto would have at most 18 months to meet their commitments, which seems improbable, particularly in context of their track record in Kyoto Protocol. Not to talk about big boys of burgeoning emission—the US, Japan, Russia and Canada—who are in any way out of contention, being out of Kyoto. Hence, this ratification will be nothing but a mere paper-play unless the commitment under Doha commitment is tagged with the post-2020 commitments under respective ‘Nationally Determined Contributions’. The agreed draft has mentioned that pre-2020 agenda will be “an element” in the facilitative dialogue in 2018 and stops there! Though a section of developing countries and civil society hope that pre-2020 commitments may be tagged to Paris Agreement and expect another round of detailed debate over that during COP24 in Poland, the fact remains that representatives of developed countries, including European Union delegation’s lead negotiator Elina Bardram confirmed that there has been “no discussion” on linking pre-2020 with Paris climate deal. “How it can be? Paris Agreement has already been ratified … how you can change this?” quipped one. That brings us back to the basic question: will pre-2020 agreement be able to cut emission on ground and limit temperature rise, especially in the context of recent peer-reviewed international reports, which emphatically point out that things are going from bad to worse? The answer is, as of now, an emphatic “no”. While going on an overdrive to gain this “win”, the developing countries have perhaps lost precious time and initiative to push other key agendas; and as a result, no substantive progress could be made on long-term finance, loss and damage, transparency, adaptation finance and likewise. Former Bangladesh minister and present chairman of parliamentary committee on environment and forest Hasan Mahmud termed the negotiation “unsatisfactory” till Thursday (November 16) afternoon and not much has moved after that. “Look, discussion on climate-triggered migration, an issue being part of Paris Agreement, was all but missing in Bonn,” said Mahmud during a conversation. Ambassador Antonio Marcondes, a senior Brazil negotiator—accompanied by environment ministers and delegation heads from China, India, Brazil and South Africa—conceded publicly to a question put forward by this correspondent that “it was regrettable as one vital week within two weeks of conference has been lost in the process (of discussing pre-2020)” and blamed developed countries for “standing in other side of the aisle”. “Are they (developed nations) playing a game?”; “At least we are not playing,” retorted Marcondes, perhaps knowing within that they might have been taken for a ride. The debate, arguably, has also allowed the US to reclaim some of the lost ground on climate negotiation. The US, which was completely isolated by other developed countries during G20, took chance of the debate to forge some kind of solidarity with other developed countries on a common issue and subsequently, even took a key position in negotiation on other agendas like climate finance. “There is no doubt that United States would have been more isolated if pre-2020 debate had not taken such proportions. One can understand from their body language. They were not really that active and generally held back in the initial discussions; but as the COP progressed they have become much more active and vocal,” said a civil society expert, who has been following the deliberations closely. “Developed countries, including the US, sucked developing countries into a debate, which actually means nothing for the latter in real terms. On the other hand, developed countries could push back the goalpost further. Have you ever seen developed countries concede a critical bargain during any earlier climate summit before the political discourse starts? It happened here,” reminded the analyst. A big enough clue to ignore perhaps.